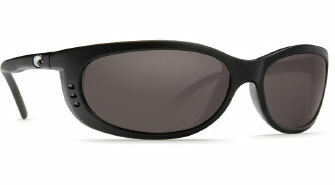 Most of my anglers ask me what kind of sunglasses I wear and these have been my choice in for the past ten years. Costa del Mar is the best company around and their Fathom model sunglasses with amber colored lenses are the perfect choice for spotting fish on the flats in the Keys, the Caribbean, and here around Pine Island. They have a great warranty and repair policy and their customer service is excellent. You actually get to talk to a real human right here in the United States working at their facility when you call them. That alone is enough to make me by any product. Costa Del Mar Fathoms retail for about $140 and they're a bargain at that price.